Every time Jacque Pearson tried to devise a plan to move her 81-year-old dad, who has Alzheimer’s, from his home in Boise, Idaho, to hers in Denver, she felt stuck. Then, two weeks ago, she had a breakthrough. 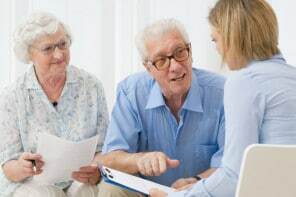 It happened at an AARP-sponsored session in which Pearson created a “CareMap” – a hand-drawn picture showing all the people she cares for as well as the people surrounding those individuals and her own sources of support. On one side of the paper, Pearson sketched out her father’s situation. There were three friends from Alcoholics Anonymous and his longtime doctor – the people he relies on most. There were three sisters and two sons in Arizona, not very involved. And there she was, the primary caregiver, far, far away. As she peered at the drawing later that evening, Pearson saw what she had to do. “I’m going to contact each of his Alcoholics Anonymous friends and his doctor and ask them to convince my father to come to Colorado,” she told me when I called a week later. How could a quick sketch of stick figures (representing the people in her father’s life), triangles (representing his medical providers), arrows (representing relationships between people) and box-like houses (where she and her father live) have this kind of impact? CareMaps are an intriguing new tool created by the Atlas of Caregiving, an ambitious project that hopes to gather comprehensive data about family caregivers. The project’s pilot study examined 14 families in the San Francisco Bay Area who wore miniature cameras and sensors, kept a log of their activities and participated in extensive in-person interviews. 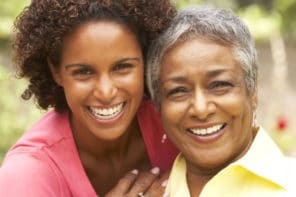 One family caregiver might be at odds with her siblings but have a close group of friends she can turn to for emotional support as she cares for a disabled husband, for example. Another might be divorced but have a son living at home who can help with practical responsibilities as he cares for his mother with Parkinson’s disease, who moved in a year ago. Yet another couple in their 60s, both struggling with serious illness, may rely primarily on their three children, all living nearby, but have few friends. How could these webs of relationships – people who are caring for each other and who are cared for, in turn, by others – be portrayed? Interviewers started drawing them quickly as family members were speaking. Symbols were assigned to people, pets, health care professionals, facilities and households. Over time, refinements were added. Bidirectional arrows, for example, could show support flowing between people in both directions and the amount of assistance being provided (multiple times a day, daily, weekly or occasionally). Instructions for drawing CareMaps – anyone can give it a try – are available on the Atlas of Caregiving website. At conferences, Mehta displayed some CareMaps and was surprised by the interest they generated. Somehow, seeing these pictures helped social workers, psychologists and other professionals understand what caregivers were experiencing in a different way. “There’s something visceral about making these pictures – it seems to open people’s vision to a broader view of what they were doing as caregivers,” she said. Phylene Wiggins, director of the community caregiving initiative at the Santa Barbara Foundation, recalled leading a group at one of the workshops. “After people drew their CareMaps, we started going around the table and talking about their maps, and it was so heartbreaking,” she remembered. “One by one, each caregiver said ‘I am so alone.’ ‘I am so alone.’ ‘I am so alone.’” Encouraging those kinds of conversations and discovering ways to address that social isolation are among the foundation’s priorities, she said. “There’s no stigma attached: You’re just drawing a picture, not complaining,” she said. AARP is testing CareMaps in six cities this year – Charleston, S.C.; Denver; Houston; Los Angeles; Phoenix; and Tulsa, Oklahoma. It may roll out workshops more widely next year, depending on feedback. And the Atlas of Caregiving is preparing a web-based version, set to debut by year‘s end or early next year, Mehta confirmed. In Denver, Alice Jordan, 69, is the primary caregiver for her partner, Vickie, 64, who has multiple sclerosis. When she drew her CareMap recently, Jordan saw that almost nobody was supporting Vickie other than her brother Bob, the only one of four siblings who checks in to see how she’s doing. For her part, Jordan initially felt that the circle of people who care for her would be empty. “When we started doing the diagram, it was like, ‘Bloody hell, I don’t have anybody,’” she said. But she found herself drawing Steve, a neighbor, who helps out when she goes out of town; Mary, a former colleague whom she walks with once a week; Onna, one of her sons whom she has lunch with regularly; Irene, a friend with Parkinson’s disease who’s always ready to talk; and her church, a source of comfort and connection. “It made me realize I had more support than I thought,” Jordan said. And for that, she added, she’s very grateful. What Happens at a Caregiver Support Group Meeting?